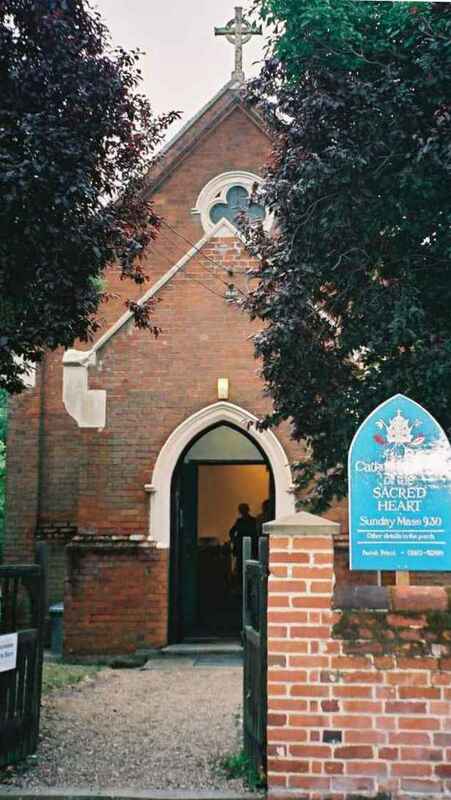 2012: Since I wrote the following in the summer of 2003, this church was closed as part of the Diocese's Onwards and Outwards Together policy, and was sold for residential use. It is now a private house, and it is not possible to visit it. 2003: Tucked away behind the grand church of St James, where Catholic priests ministered before the Reformation, but which is now under Anglican stewardship, this tiny little church must be one of Suffolk's smallest. 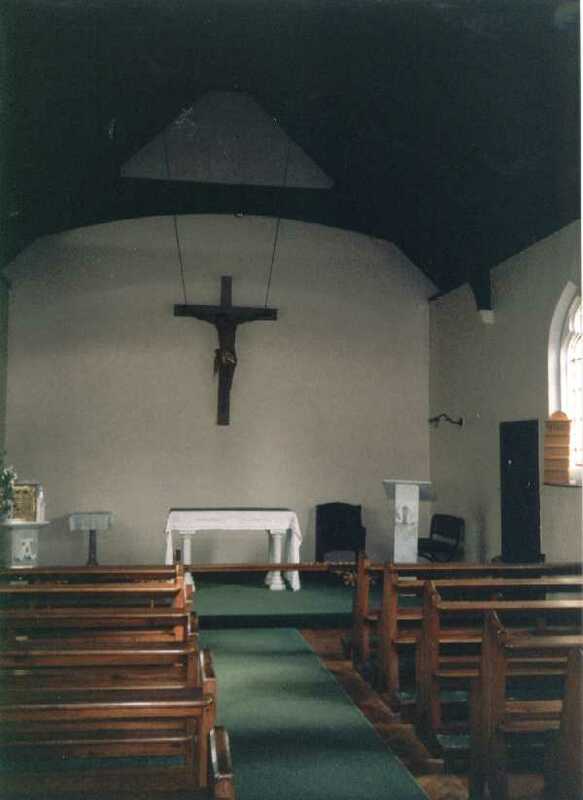 Rural Catholic churches are more familiar from the north of England, so this is an unusual place, and has a sense of being a quiet little backwater which is not too buffeted by the outside world. Throughout the long penal years, Catholics travelled to Giffords Hall, Withermarsh Green, beyond Stoke by Nayland, where a priest was kept by the big house. There is a fine 19th century Catholic church there today, but I suspect that local people are happier with their unpretentious little turn of the century building. It is part of the parish of Hadleigh, whose churches thrive. In fact, so much is the Catholic community increasing in this part of Suffolk, that many Masses here see members of the congregation having to stand outside, and the community is casting eyes around for a larger building. I enjoyed attending the recent centenary celebrations of this church recently, but there were so many people that the High Mass had to be held in the neighbouring Anglican church, which had not seen such crowds for many a long day. All over Suffolk, I find villages with former methodist chapels, now converted into private homes, and they are a reminder of the ebb and flow of ecclesiastical history. 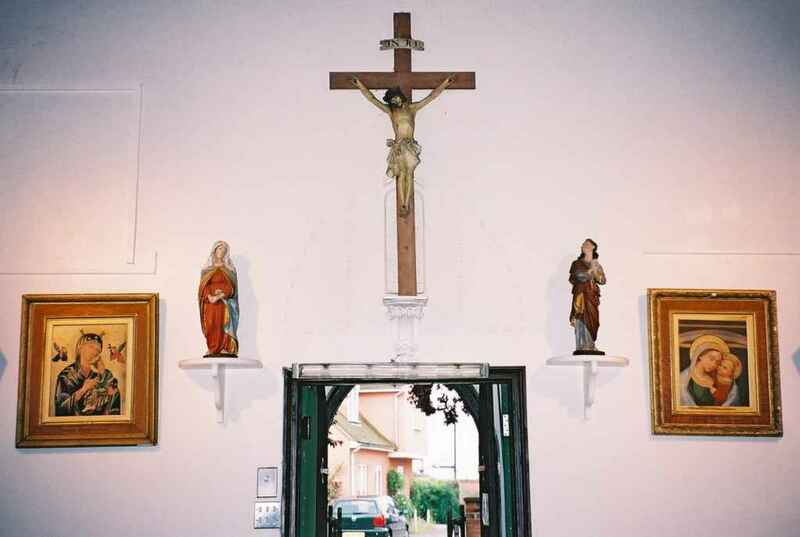 The Catholic presence returned to Nayland after a gap of some 350 years, and it is impossible for the congregation of this little building to leave it without being reminded of the glory that was once theirs.